This is an R port of the Python lime package (https://github.com/marcotcr/lime) developed by the authors of the lime (Local Interpretable Model-agnostic Explanations) approach for black-box model explanations. All credits for the invention of the approach goes to the original developers. The purpose of lime is to explain the predictions of black box classifiers. 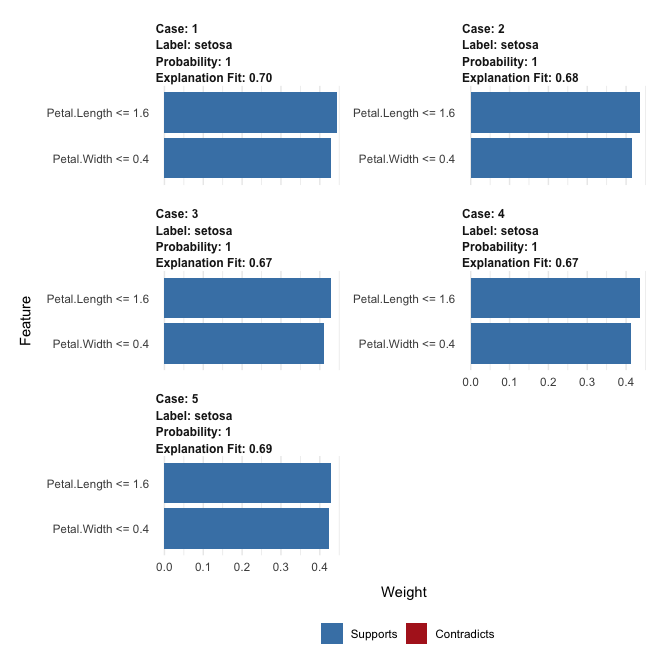 What this means is that for any given prediction and any given classifier it is able to determine a small set of features in the original data that has driven the outcome of the prediction. To learn more about the methodology of lime read the paper and visit the repository of the original implementation. The lime package for R does not aim to be a line-by-line port of its Python counterpart. Instead it takes the ideas laid out in the original code and implements them in an API that is idiomatic to R.
Out of the box lime supports a long range of models, e.g. those created with caret, parsnip, and mlr. Support for unsupported models are easy to achieve by adding a predict_model and model_type method for the given model. # output from the model. 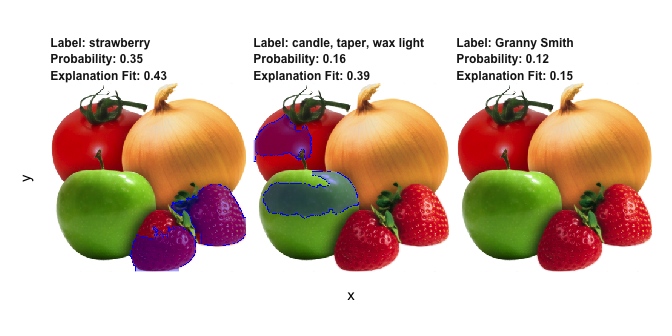 Here we see that the second most probably class is hardly true, but is due to the model picking up waxy areas of the produce and interpreting them as wax-light surface.